Have you been wanting to start something new? But you’re not good enough, you don’t know enough, you don’t have enough time, you don’t know what people will think about it, etc. We can make all the excuses in the world! 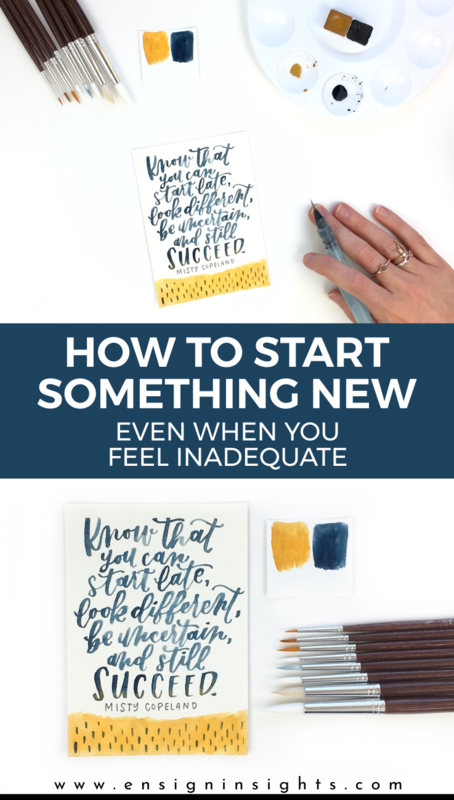 But I’m going to share with you five ways you can start something new even when you feel inadequate. I’m starting a new series on my YouTube channel called “Creatively Confident” where I’ll be sharing an uplifting insight as I letter a quote each week. I will also be giving away the finished piece to one lucky subscriber. You just have to be a subscriber and comment something positive on the video. I want to spread positivity and the more we speak positively (even if it’s on the internet), the more we’ll start feeling it. I will also write something about the quote here each week and share pictures. That way we can spread these pictures on Pinterest and around the internet. Spreading all the positivity right? 🙂 So let’s get right into this week’s topic! I could end this post with these two words. 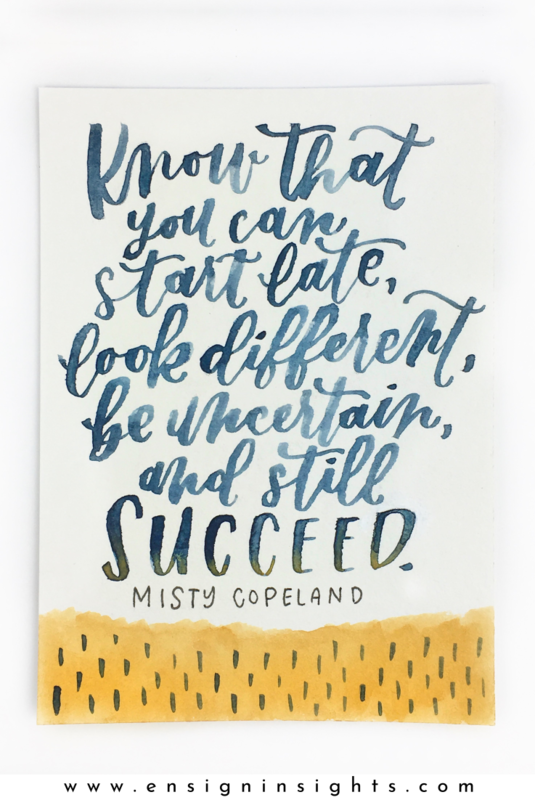 You’re going to make mistakes and learn along the way. If you’re waiting to be good enough to start, you’ll never start. You won’t get good enough until you’ve been doing it for years. Just start. I’ve felt so inadequate to start this YouTube series. I’m not an expert in video, I don’t have all the professional equipment, I’m not always positive myself. What do I have? I have a passion to help others be confident and love themselves. Does it scare me? Oh yeah. Am I still working on it myself? Yep. Do I feel purpose in it? Definitely. 2. Don’t look for inspiration from only the same place. When you start something new, you want to bring your own uniqueness, not just a copy of someone else. If you’re only watching the same five people, you may end up looking exactly like them instead of giving YOURSELF which is what people really want from you. 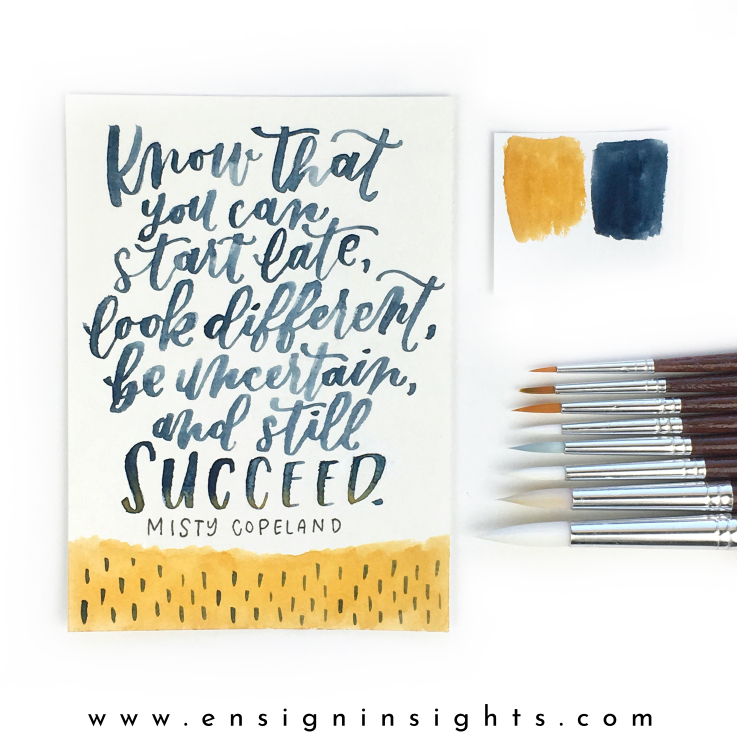 When I was deciding how to do “Creatively Confident”, I was feeling stuck. Then I started looking up YouTube videos and people I had never seen before. It was so refreshing and gave me the inspiration I needed to come up with this series. I’m sure it will continue to change as I learn and get feedback. 3. Realize that you can handle whatever comes. Yes, there will be people who don’t like what you’re doing. You’ll come across so many things you don’t know how to do. But realize that you can handle it. You are capable. The more things you overcome, the more capable you feel, the more you learn, so just get started knowing that you’ll be able to handle the things you’re afraid of. 4. Make a plan and be consistent with it. It’s easy to make one post/video and then lose interest. If you stopped after one post because you found a different way to do it, that’s ok. But you have to be consistent even if you don’t see results at first. Just like working out. You’re not going to lose 10 pounds after one 30 minute workout. It could take a month of working out every day and watching your diet to lose 10 pounds. It’s so easy to get discouraged when we don’t see results right away. Or when we keep making mistakes. 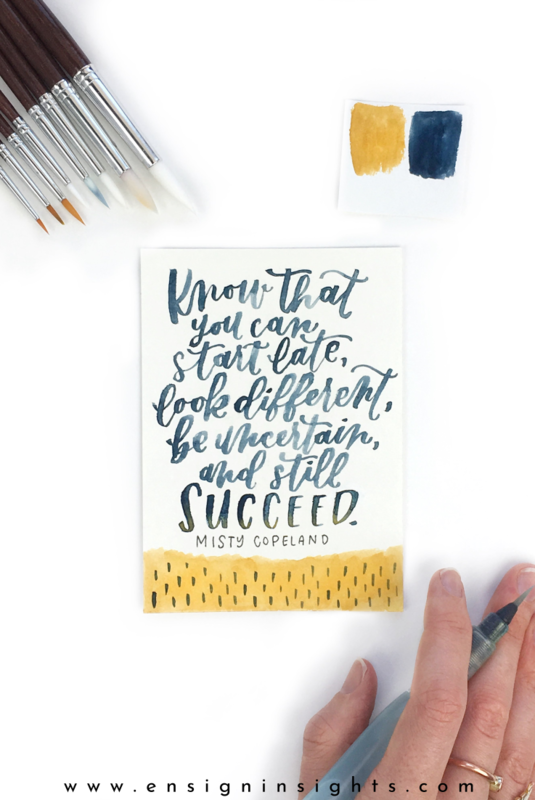 Embrace those mistakes, love the process and you just might surprise yourself. 5. Focus on your strengths and the things you know. When starting something new, there will always be a learning curve. There will always be things you don’t know. But don’t let that stop you. Focus on how your strengths can help you. With “Creatively Confident” there are a lot of things I don’t know and I have a lot of fears. But do I have a strength for finding the positive? Yes. Do I love connect with people and helping people? Yes. Those strengths are enough to help me as I learn all the things I don’t know. When we focus on our unique strengths, we will be able to share something that is unique to us. People need your strengths. So get out there and just start! Would you add anything else to this list? I’d love to hear it!